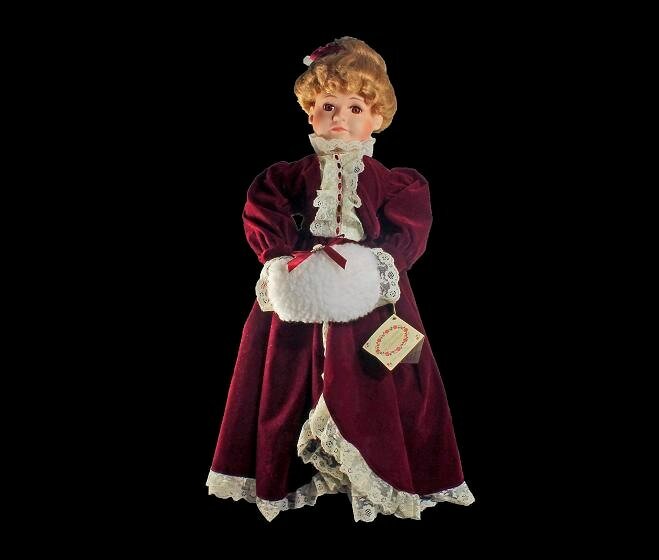 This is a gorgeous Victorian dressed doll dressed for the Holidays from McField Fashion Co Ltd. She wears a dark maroon velvet dress with white lace. She carries a white muff decorated with a ribbon and a faux pearl. Her fascinator hat matches the dress and is embellished with white feathers. She has long beautiful like-real lashes and bright brown eyes. Attached to her left hand is her original tag. She is a limited edition from 1996 and comes with her original wooden stand. 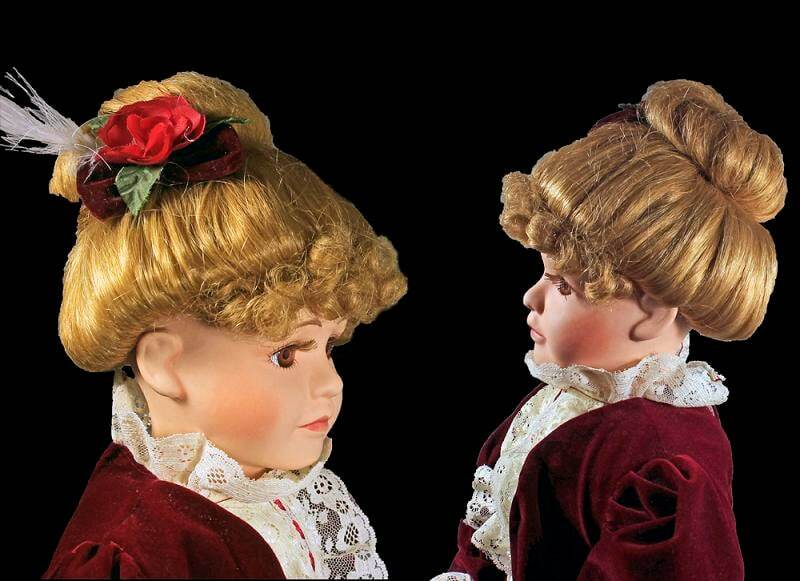 What a delightful addition to any collection or a great doll to start one with. She would be lovely as room decor in a girls nursery or room. 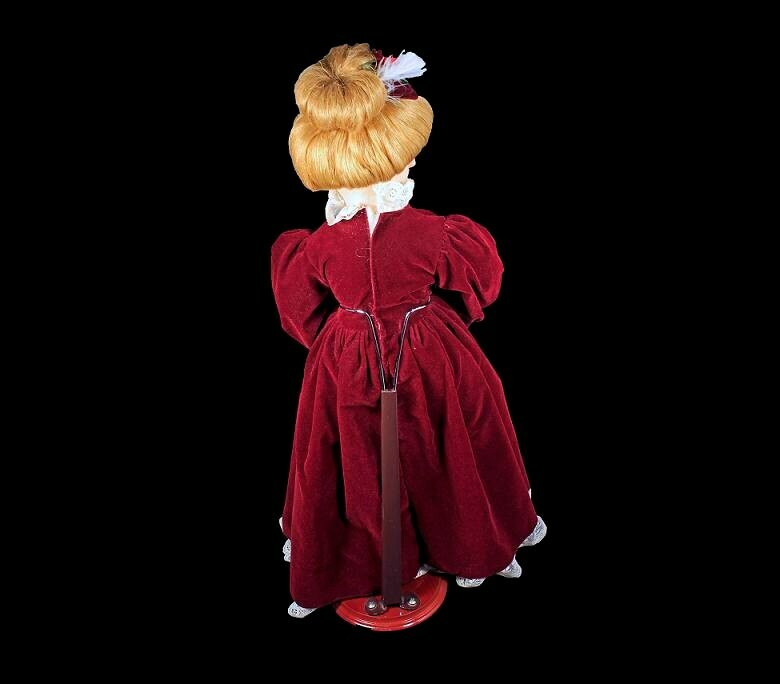 (She is NOT a toy). 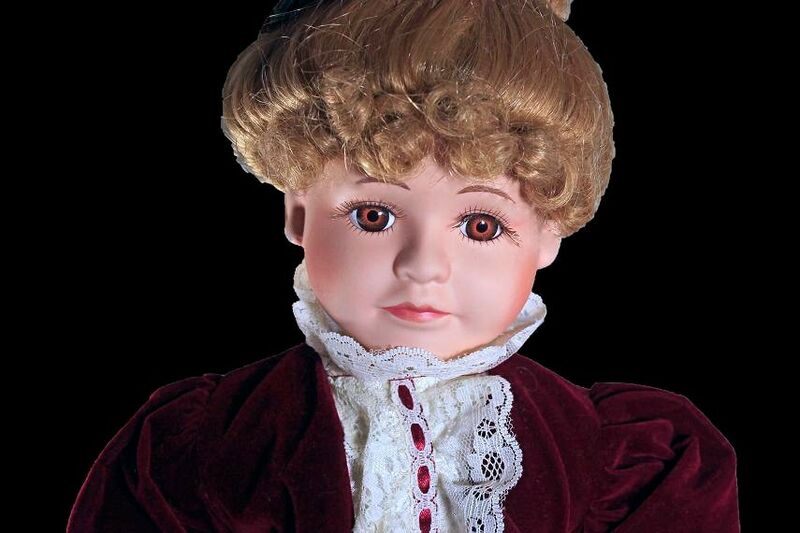 This is a vintage doll in excellent condition. Her clothes have no rips, tears, or repairs. 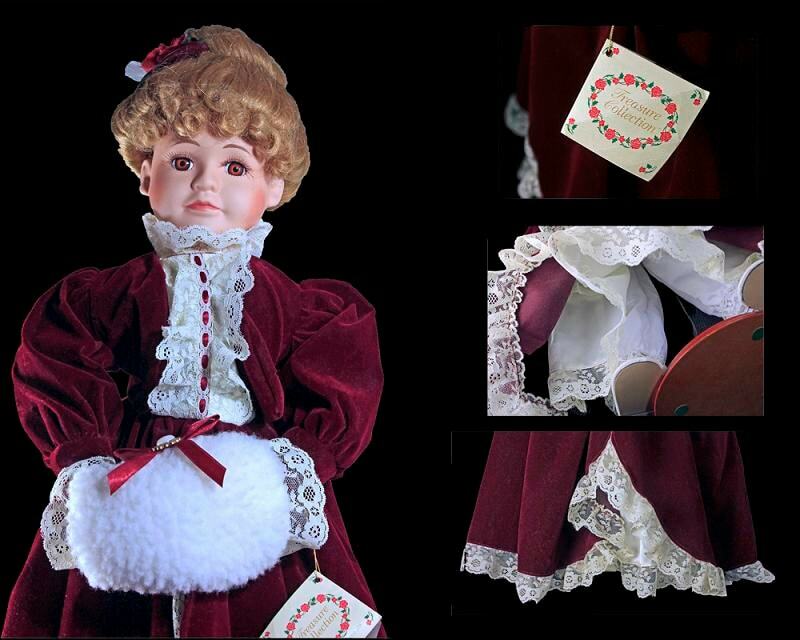 Just a beautiful doll looking for a home in which to spend the holiday seasons.